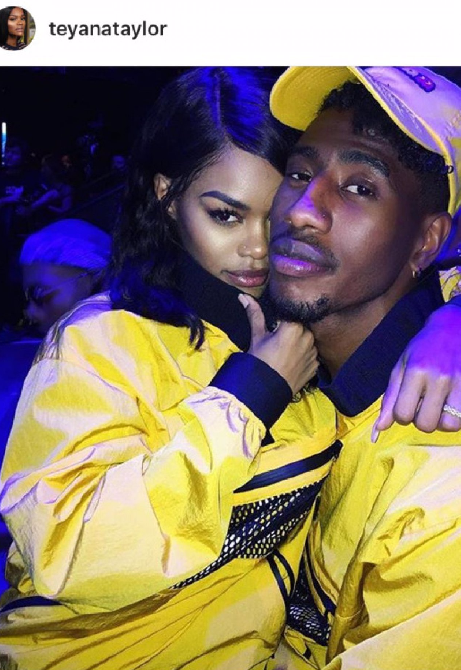 Teyana Taylor's Man Us Cheating With Who? was going to do the same to Jaden. They began messaging and commenting about it like crazy. Luckily, it was all a big misunderstanding. Iman commented on the story posted by The Shade Room to reveal that it was all business. To his fiancee and Sarah he said "I apologize for the nonsense, next time I'll just call around for numbers. Sorry for the drama." Teyana even went through his DMs to prove its clean. See?! It's all good. Iman must have reached out to Sarah for work. It makes sense, because why would someone being shady blatantly comment on her post to let her know he was DMing her? We would hope he would be a little more stealthy. Thank goodness all's well between these couples because we love them both!